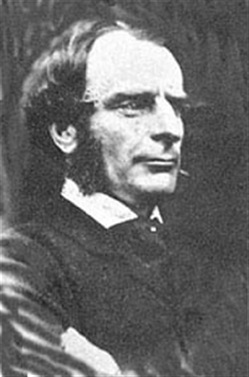 According to Wikipedia: "Charles Kingsley (June 12 1819 January 23 1875) was an English university professor, historian, and novelist, particularly associated with the West Country and north-east Hampshire. ... Kingsley's interest in history is shown in several of his writings, including The Heroes (1857), a children's book about Greek mythology, and several historical novels, of which the best known are Hypatia (1853), Hereward the Wake (1865), and Westward Ho! (1855). His concern for social reform is illustrated in his great classic, The Water-Babies (1863), a kind of fairytale about a boy chimney-sweep, which retained its popularity well into the 20th century. Furthermore in The Water-Babies he developed in this literary form something of a purgatory, which runs counter to his "Anti-Roman" theology. The story also mentions the main protagonists in the scientific debate over Charles Darwin's On the Origin of Species, gently satirising their reactions. He was sympathetic to the idea of evolution, and was one of the first to praise Darwin's book... As a novelist his chief power lay in his descriptive faculties. The descriptions of South American scenery in Westward Ho!, of the Egyptian desert in Hypatia, of the North Devon scenery in Two Years Ago, are brilliant; and the American scenery is even more vividly and more truthfully described when he had seen it only by the eye of his imagination than in his work At Last, which was written after he had visited the tropics. His sympathy with children taught him how to secure their interests. His version of the old Greek stories entitled The Heroes, and Water-babies and Madam How and Lady Why, in which he deals with popular natural history, take high rank among books for children." Acquista Alton Locke, Tailor and Poet in Epub: dopo aver letto l’ebook Alton Locke, Tailor and Poet di Charles Kingsley ti invitiamo a lasciarci una Recensione qui sotto: sarà utile agli utenti che non abbiano ancora letto questo libro e che vogliano avere delle opinioni altrui. L’opinione su di un libro è molto soggettiva e per questo leggere eventuali recensioni negative non ci dovrà frenare dall’acquisto, anzi dovrà spingerci ad acquistare il libro in fretta per poter dire la nostra ed eventualmente smentire quanto commentato da altri, contribuendo ad arricchire più possibile i commenti e dare sempre più spunti di confronto al pubblico online.